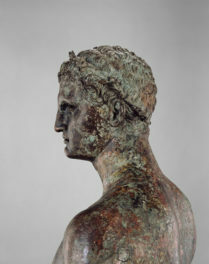 The campaign “Where Myths Take Hold” brings a playful tone to the Getty Villa, a museum of ancient Greek and Roman art. 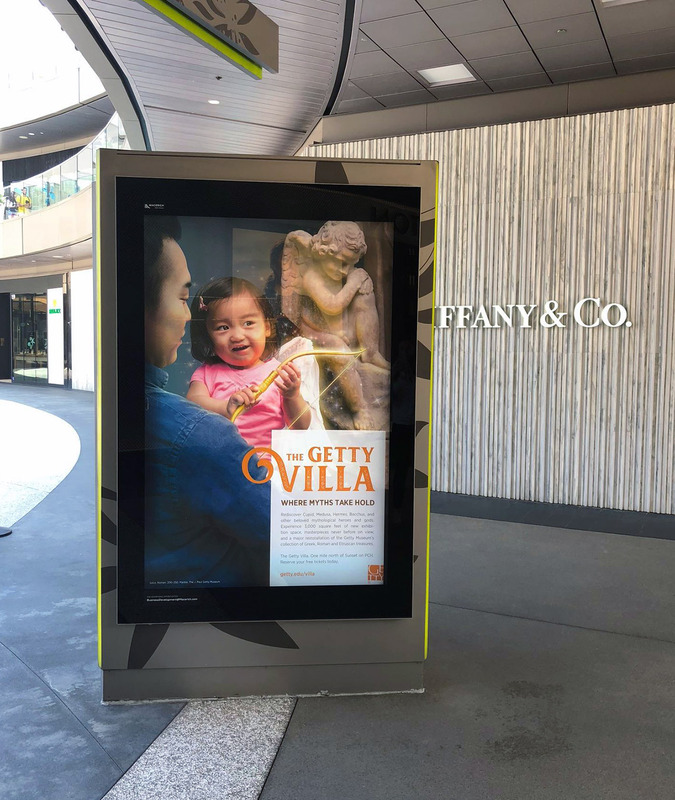 The Getty’s marketing and creative services team recently produced three commercials as part of a print, out-of-home, broadcast, and online campaign for the reinstallation of Getty Villa. By itself, that’s nothing unusual. This time, however, the commercials—for which I served as producer, director, scriptwriter, and editor—involved extensive visual effects and CGI work. 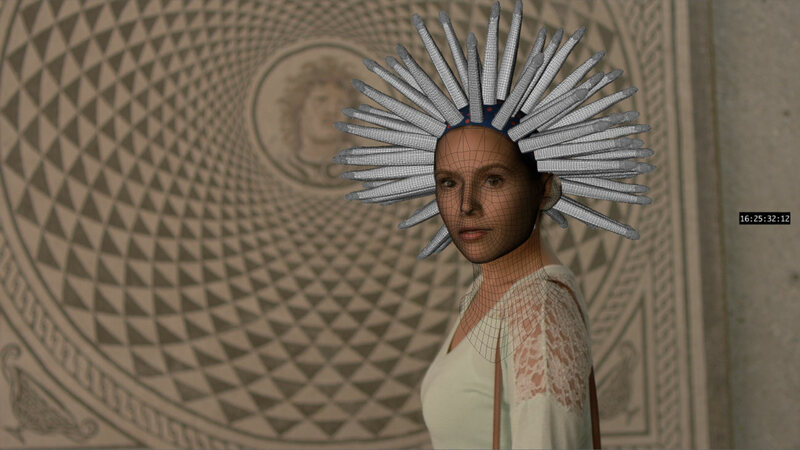 It’s not every day that an art museum has the opportunity to incorporate computer-generated visual effects work to showcase an experience. In this post I’ll explain how the team developed the concept, how we approached the scripts and storyboards, and how the effects (including computer-generated Medusa snakes) came together. For the Villa reinstallation campaign, the team wanted to do something different. We still wanted to feature the art, the architecture, and the grounds, but we wanted to have a bit of fun. “Playful” is not a word often associated with Greek and Roman antiquities, which make up the collection of the Getty Villa. But when a person visits the Villa, she is transported to another time and place. Her imagination comes alive to how the world might have been thousands of years ago when the artworks were created, and to the ancient legends and myths represented in many of the works. That’s exactly what we wanted to play with: imagination and myth. During some of the initial creative brainstorming meetings in late January 2018, the team came up with numerous ideas. For instance, one we discussed initially was “Come See For Yourself.” Imagine a series of documentary-style shots of visitors looking at the camera, reacting to what they see. In the spot, the camera stands in as the art. We, the viewer, see what people feel when looking at all the Villa has to offer—awe, delight, concentration, poignancy. In the end, we passed on this idea. But that’s the fun of brainstorming: a lot of good ideas come up but don’t make it. Maybe another time this one will have its day. The winning idea instead became “Where Myths Take Hold.” This concept is about identifying with the art and the surroundings, using Greek and Roman myths. A little girl grows Hermes’ wings after looking at the Hermes statue in the Outer Peristyle. Cupid gets two strangers to fall in love. 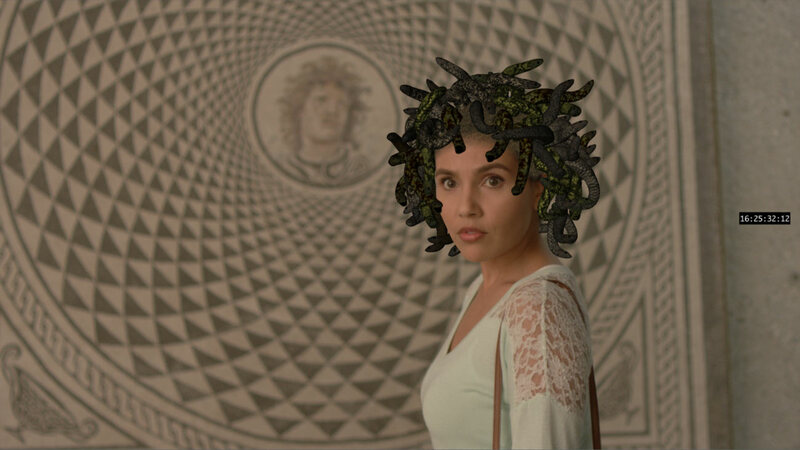 A mother channels Medusa to quiet her kids. Bacchus enjoys the Villa restaurant. When looking at the final concept for video work, my first reaction was, “Rad!” My second was, “What’s the budget?” To show Medusa, Cupid, or Hermes on screen we would have to incorporate visual effects—computer generated (CGI) or practical (i.e., tangible), or both. I knew CGI doesn’t come cheap, and although I know how to do a lot of that work myself, I would in no way call myself expert enough at it to try my hand at creating some of the complex looks we needed. Medusa, in particular, is a hard one. It’s almost impossible to pull off well using practicals. The snakes need to be alive, writhing around on their own, not flopping about with the actor’s movements. The only way to achieve that successfully is to create them in a computer. As soon as the concept was finalized, I worked on morphing the ideas into actual scripts from which we could work. Ideally, the ads would be 15 seconds, with little to no dialogue needed. I sketched out some ideas by looking at the actual spaces where the spots would need to take place and then imagining how something like these scenarios could occur. I then worked out the scripts, submitting them for approval to our assistant director of marketing and creative services, Maureen McGlynn. Once she gave me the OK, I began working with our creative services manager, Maria Velez, on visualizing the scripts into storyboards. Based on a discussion with creative services manager Maria Velez, storyboard artist Duff Moses developed sketches for the “Where Myths Take Hold” campaign. Hermes—A girl and her friends play chase in the Outer Peristyle. Running past the Hermes statue, the girl becomes transfixed. When her friends come after her, she snaps to and runs off, her feet magically sprouting wings. With superhuman speed, she races away, her friends left only to gawk as she stands tall. 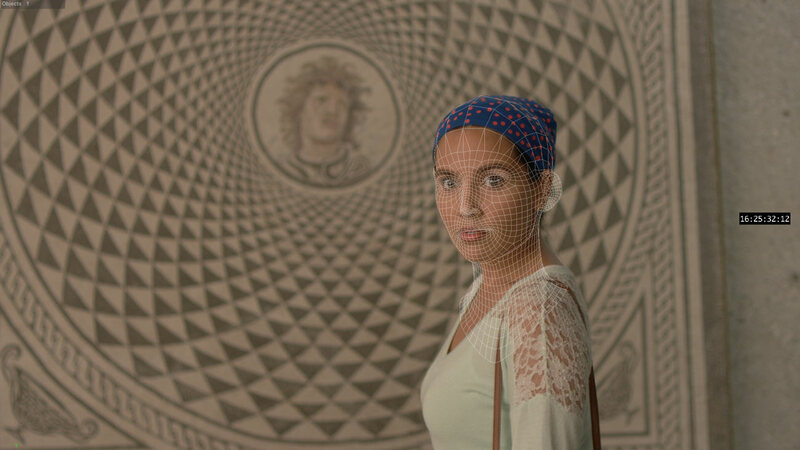 Medusa—A mom and her kids walk into the space housing the Villa’s Medusa mosaic. As the mother tries to absorb what she is seeing in the mosaic, her kids try to get her attention. After first trying to quiet them as she looks, she becomes agitated, and turns to quiet them, her hair having grown snakes, and she ssssssss’s Her kids jump to attention. Cupid—Two strangers visiting the Villa end up staring at the same statue with a Cupid at the base. They turn to one another, smiling, and reach out to hold hands just as a father carries his baby through the gallery. We see the baby has Cupid’s wings. Bacchus—A very uptight gentleman sits on the Villa cafe terrace having lunch while reading. He pauses, looks up at the view in front of him. We turn to see his point of view. As we turn back to him, he has dramatically loosened up, sitting back in his chair, wine in hand, as grapes grow from his head and drape around him, a la Bacchus. Maria contacted Duff Moses, a wonderful storyboard artist here in L.A. 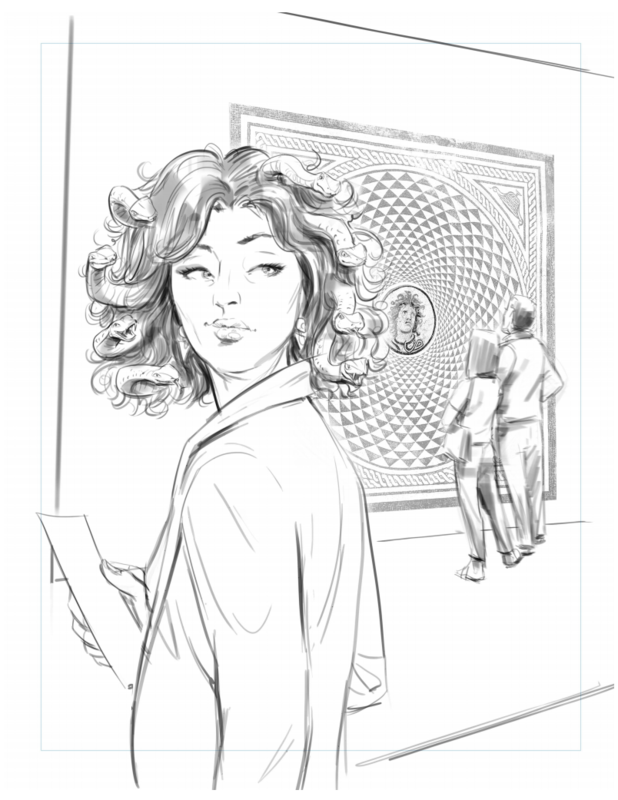 He first roughed out some sketches for what would be the print ads, based on conversations he had with Maria. As soon as I finished the video scripts, we sent them to Duff, and he expanded on his sketches. We made a few changes here and there with him, then he set about doing the final artwork. The final boards were amazing. And they gave me the ability to reach out to VFX houses and cinematographers. It was mid-February at this point, and the final spots were set to air around April 20. Time was going to be tight. 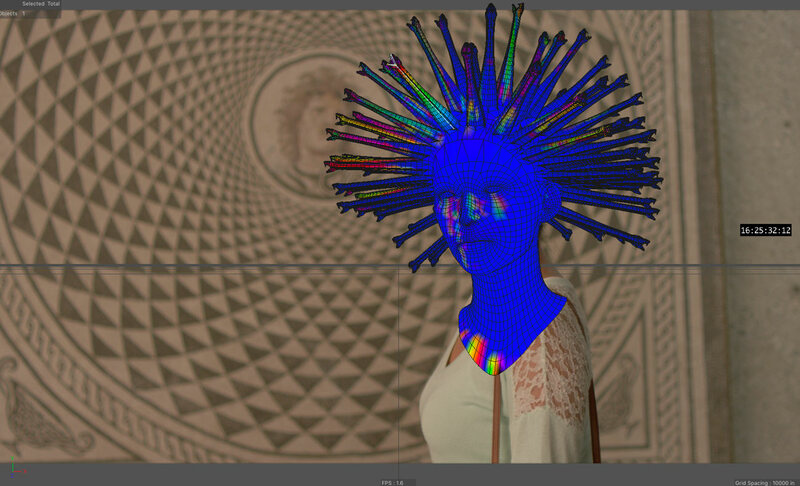 Final storyboards, such as these for the Medusa spot, allowed us to reach out to VFX houses. One of the biggest issues with the project was figuring out how to keep costs down while also working fast enough to meet our deadline. 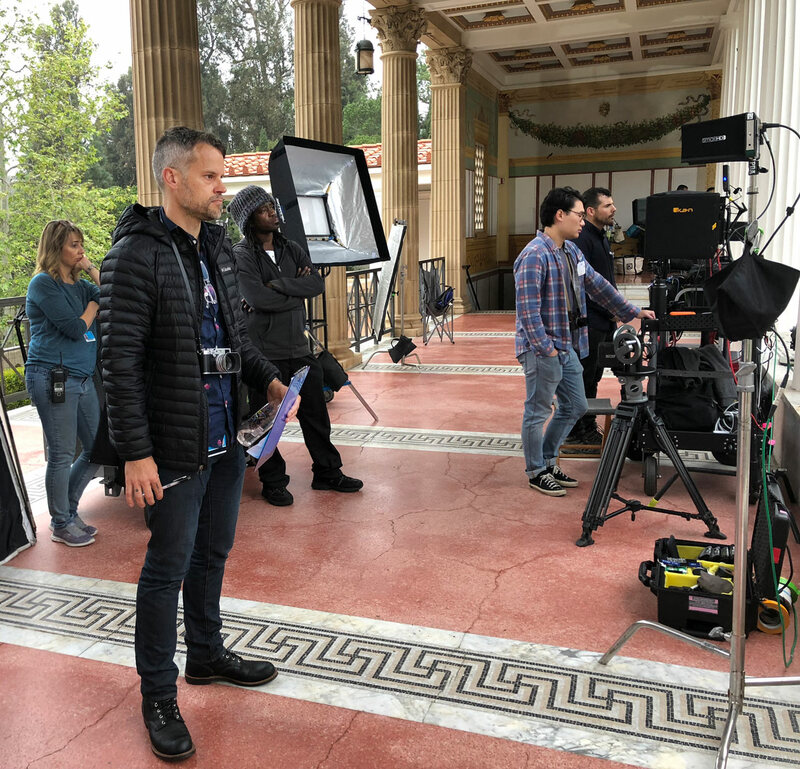 I called in favors, asked crew to please give us their nonprofit rate, and spent days researching and talking to various visual effects (VFX) houses in L.A. All of the VFX houses were interested in the job. From a creative standpoint, it offered a lot of fun challenges, and the end concept was universally liked. 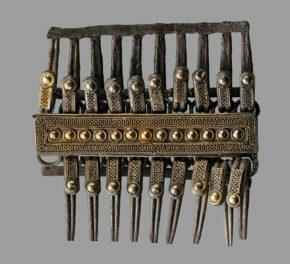 (It helped that all of them were huge fans of the Getty.) But even with all that, the first three estimates I received averaged three times the entire budget for the project! Finally, at the end of February, through a recommendation from a friend, I reached out to Alpha Studios and the amazing Kaitlyn Yang, who just made Forbes 30 Under 30 in the Entertainment Industry list. She’s incredibly smart and talented, and a joy to work with. She understood our budget constraints and offered up a rate that I’m sure barely covered her overhead. 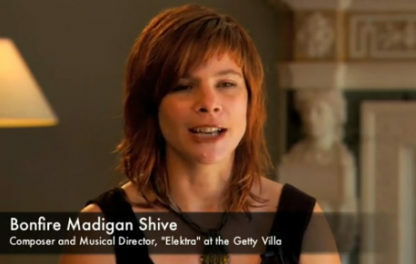 She took the job because, as she told me, she loved the creative, loves the Getty, and thought it would be fun. In all honesty, without her and her team’s enthusiasm and willingness to work for such little money, this project never would have been possible. We owe them a huge thank you. The shoot at the Villa was scheduled for March 13. The goal was to shoot all four spots in one day—a brazen idea, considering the VFX we had to do, plus the four separate locations on the grounds, and the fact that we were not allowed onto the property until 7am. Ideally we would have gotten there at 5:30 or 6, so that we would be entirely set up and ready to go as soon as the sun gave us enough light. We were quite literally praying for clear skies, but as fate would have it, March 13 was the one and only day of rain in the first half of March. We scheduled Hermes first based on the locations needed throughout the grounds and how we could maneuver most easily from one to the other. This was fortunate, as it enabled us to film the spot (finishing up as the rain began to fall) and then race inside for the next two. The fourth spot, Bacchus, was always noted to be the one we could “lose” if we ran out of daylight…which we did. Hermes went great, other than the rain at the end. Our lead actress for the spot, Aundrea Smith, was incredible to work with and a lot of fun. Shooting the plate shot for the foot transformation went smoothly, and Aundrea was great at hitting her mark over and over again for us. Cupid was next up. We were relying on two different babies—one for the print shoot and one for the commercial—and our goal was to get both shoots finished quickly before they grew tired or hungry. We failed at both, but fortunately, the commercial’s baby had her dad and grandmother on set. Both were enlisted at times to keep her happy and engaged. In the end, it worked and we were able to move on. Medusa was much more complex. The majority of the technical shooting we did that day was for this spot. 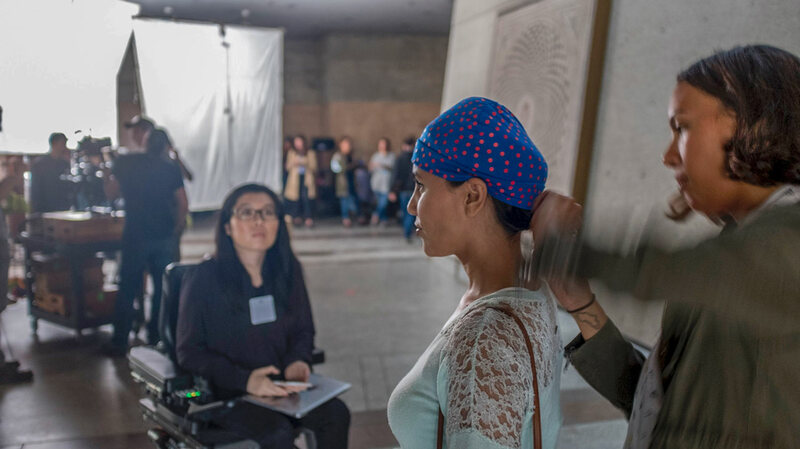 Angie Sanchez, our actress, needed to wear a wig cap, have her head measured, and do and redo the shot, and she was incredible. By the time we finished Medusa, it was clear Bacchus would be cut. The sun was down and there just wasn’t enough light. We wrapped and packed up. Tail lights were at 7:30pm. The next day, March 14, I edited the three spots together roughly and made my selections for exactly which takes would be the ones used in the VFX. When I had those, I sent them on the Alpha Studios so they could begin working with them. They had already begun mocking up some things, so they weren’t starting from scratch. From there, I tweaked and finalized the edits getting to picture lock around March 20. Kaitlyn Yang had estimated about a month of work to do all the VFX. With the spots airing around April 20, we were right on time. The process was incredibly detailed and time consuming. 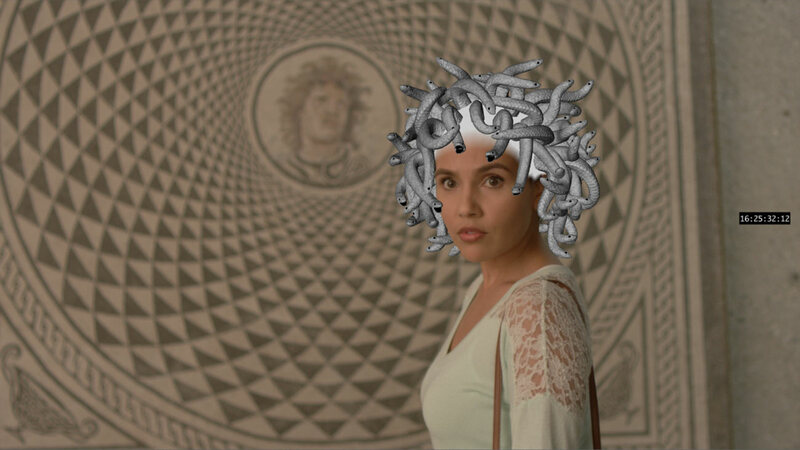 Medusa was particularly complex. 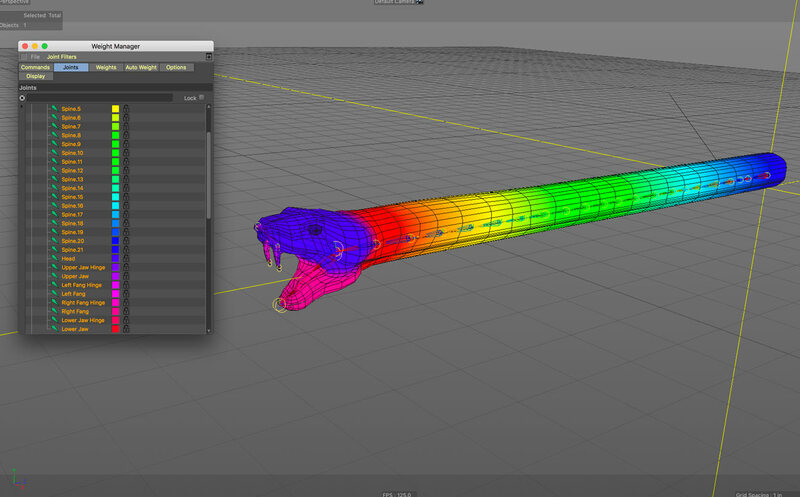 To start, they needed to create the snakes. 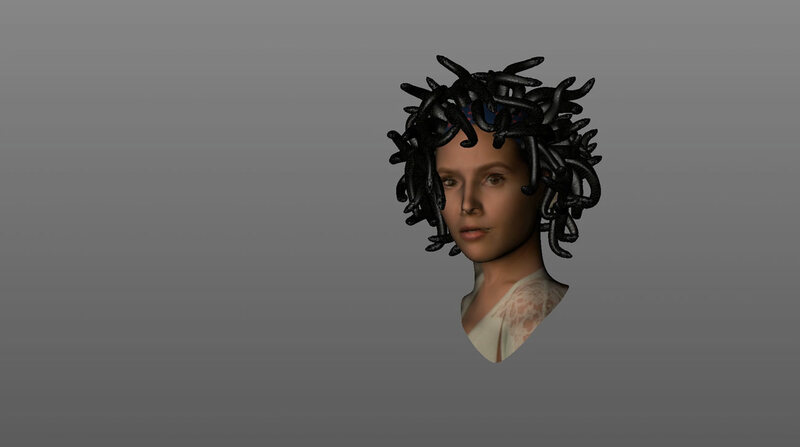 From there, they made a digital version of the actress’s head and face, to which they applied the snakes. They then began to animate the snakes, giving them life. The important part was to make sure that when the snakes move, two or more of them don’t occupy the same space at the same time. In order for them to appear solid, they needed to move independently of one another, bump into each other instead of going through one another, and accept light and cast shadows. In the image below, you can still see the wig cap; the snakes have very little sheen. Now the wig cap has been covered, and more sheen and detail have been added to the snakes. From here, it was a matter of fine-tuning the light and shadow. Once they completed that, I took back the clip, around April 13, and began working with the sound designer. Sound design and sound effects were done by Jay Nierenberg at Sublime Sound. From wind and birds, to the sounds you hear when the light sparkles off the VFX, he added layers and layers to the final projects, giving them depth and audible realism. Listening to the tracks with and without his work is stunning in the difference. One is good. The other is great. Finally, once Jay completed his work—he also did the sound mix—the spots were ready for delivery. In the end, the TV stations received them all about 48 hours before the deadline. All told, some 40 people worked on or for this project. I’d like to acknowledge my colleagues from the Getty’s Marketing and Creative Services team for all their work on this, and for being game to try something so audacious. It isn’t every day a museum gets to do something so playful and so effects-laden. The entire experience was amazing. There wasn’t much time to do it all and we had a very small budget considering how ambitious the project was. And, yet, it all came together. We did it! This concept is positively adorable and I LOVED the vignettes. Bravo! Cute, cute, cute. Please do more. These videos are beautiful and artfully simple. We become one with the art. Fantastic! This gave me the chills!!! !